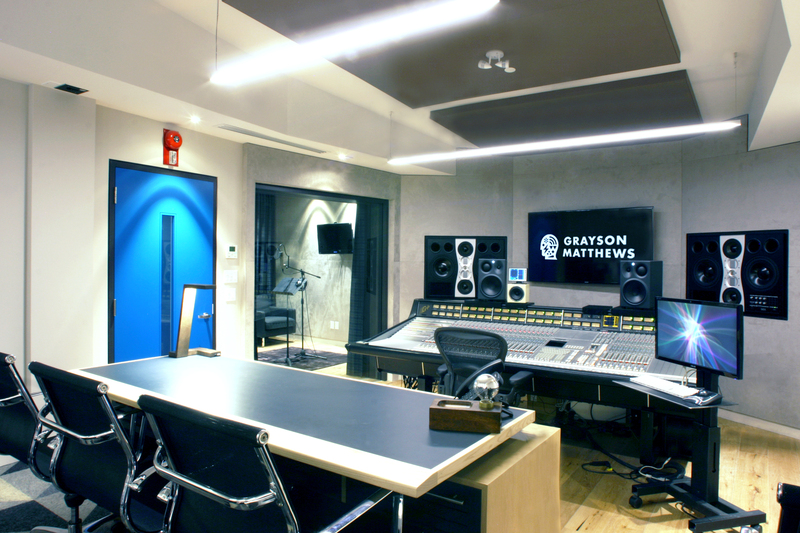 Grayson Matthews | Pilchner Schoustal International Inc.
Grayson Matthews is a highly successful commercial music company. 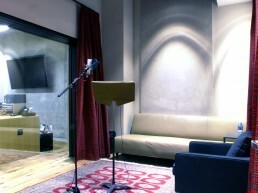 Pilchner Schoustal having designed their original studios was asked to design their new facilities. 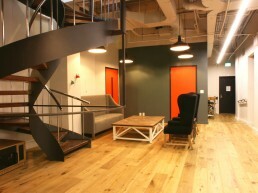 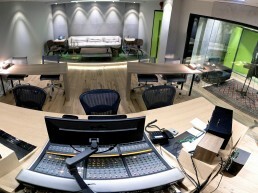 This involved the relocation and expansion of their current studios. 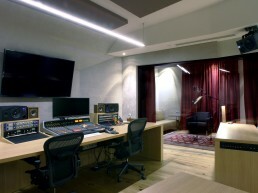 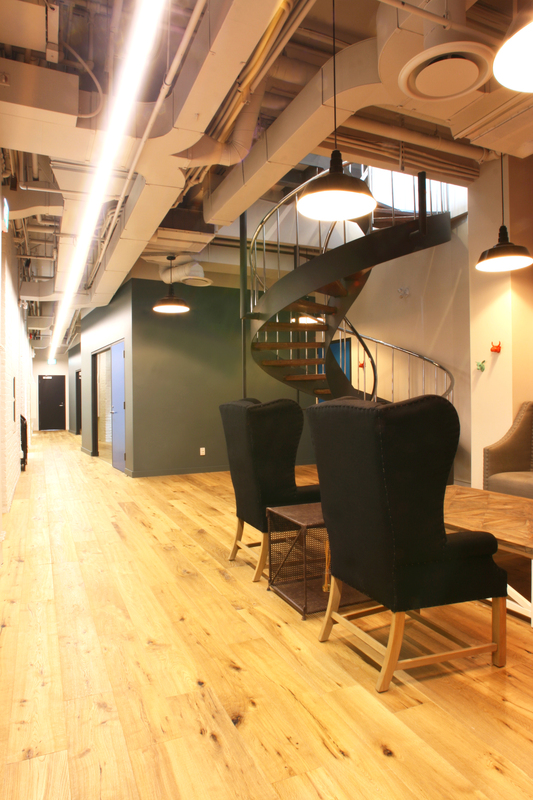 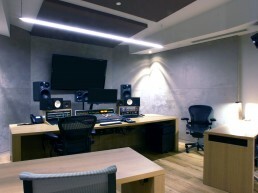 The new facility features one large main studio (A), three mid -sized control room/studios (B, C, D), a casting studio and control room and 15 writing suites. 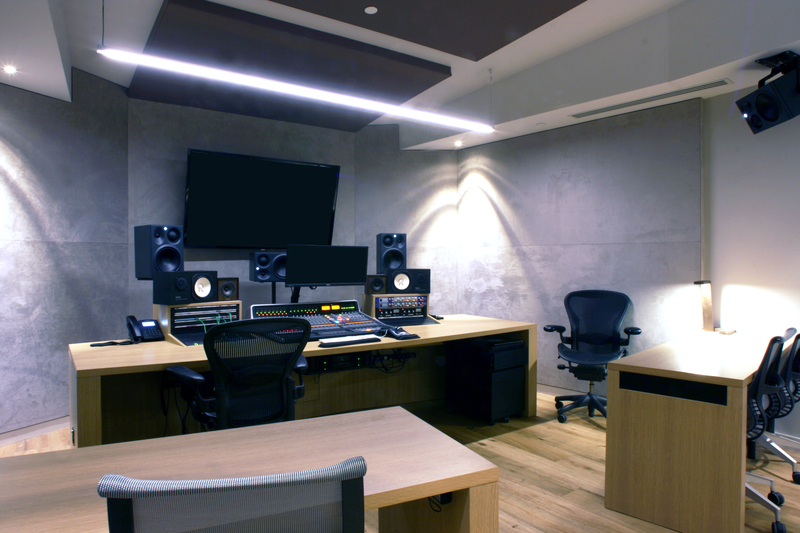 Control room A features a fully soffited surround monitoring system, Control room B features a mid -field surround system, Control room C features large ADAM main monitors and a mid-field surround system, and Control room D features a mid-field surround system. 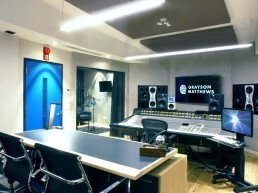 Consoles vary throughout the studios between legacy SSL consoles or custom millwork with SSL matrix consoles. 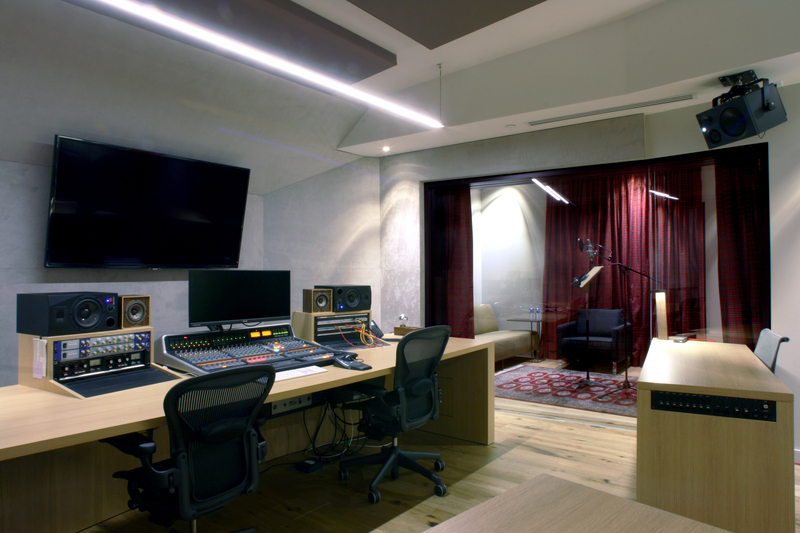 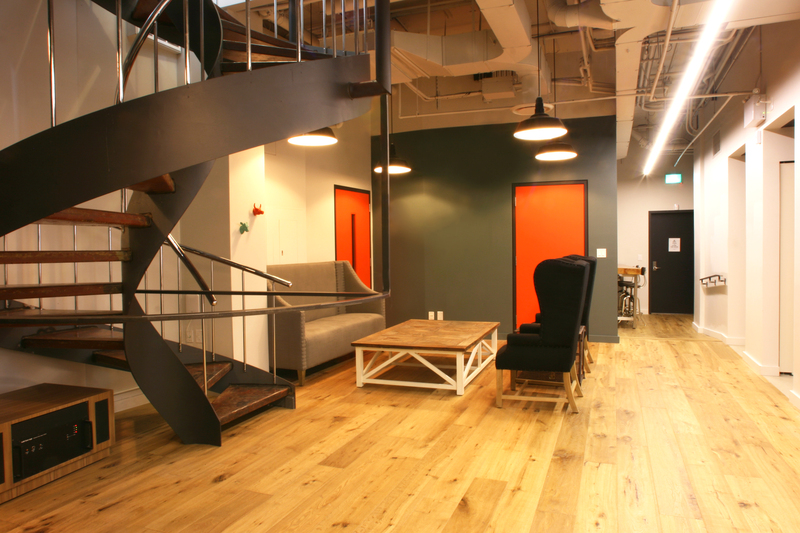 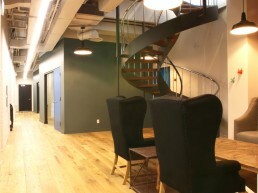 The finishes are restrained to warm neutrals and natural materials, all lit with an extensive LED lighting package. 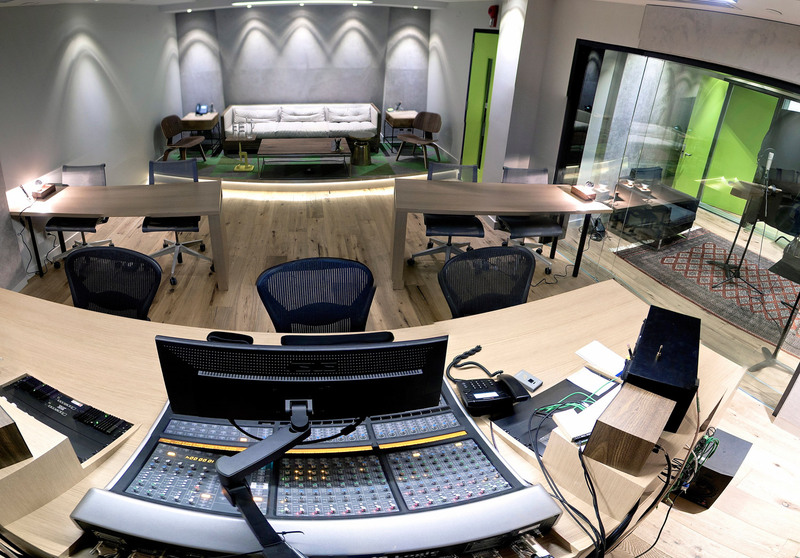 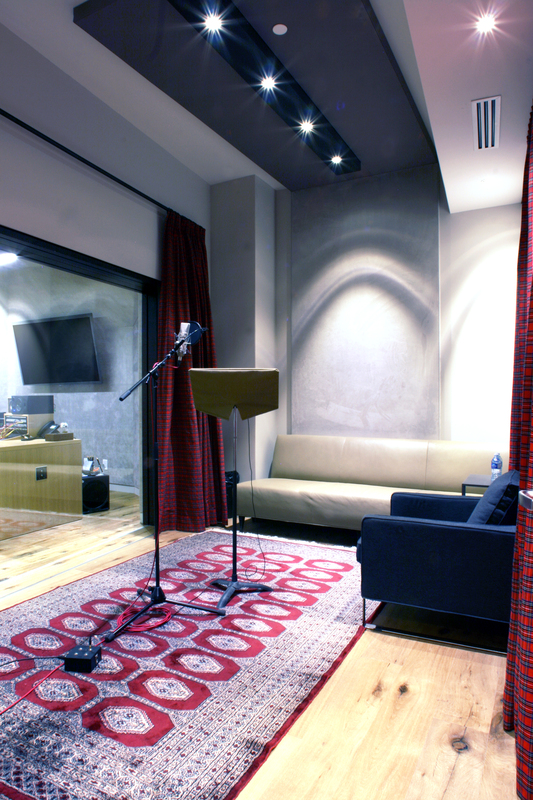 Room layout of the studios and support spaces was carefully considered to provide the maximum sound isolation and most efficient use of space keenly tailored with smooth operational work flow.